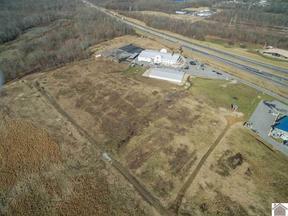 12.27 acres of prime commercial property at one of Paducah's fastest growing Interstate exits. Offering over 215' of frontage on I-24, this property is level and competitively priced at roughly $79k per acre. Zoned ML Light Industrial to allow for a multitude of commercial or industrial uses and surrounded by numerous new commercial developments. Outside the city limits and served by Jackson Purchase electricity, this property is ready to serve a large user, or could be subdivided into smaller tracts taking advantage of the excellent exposure and close proximity to the Interstate and John L. Puryear Dr.